Christ gave a commission to His appointed apostles to bring the light of the gospel committed to the Hebrews to the rest of the world in the darkness of error. The commission for the men of Galilee was of a worldwide scale, and only divine enabling could fulfill them to accomplish that mission. For this cause, those reconciled to God were given authority over devils to cast them out through the power of the gospel. They were also given the promise of being equipped to “speak with new tongues” as their mission demanded. However, there has been some confusion as to what this gift was exactly, and even more obscured is the purpose. The largest and fastest growing religious movement to originate in the United States” is the Pentecostal movement. The movement emphasizes the gifts of the Spirit, and in specific, holds to a doctrine that demands all believers speak in a manner of tongue that departs from the plain understanding of the Bible gift. The Scripture admonishes us, “Beloved, believe not every spirit, but test the spirits whether they are of God: because many false prophets are gone out into the world.” (1John 4:1) Seeing that the movement has risen in numbers like wildfire, it demands that there is the clearest account of what the gift of tongues is from the Scriptures.While, this article does not intend to dwell at great length on a false gift of another spirit, we must be able to “test” these spiritual gifts by the Bible, and to do this, we must understand the true gift of tongues. As we examine Scripture, it will shed a clear light on the subject to clear up misunderstandings that may exist regarding the matter. We are told of the designations in the body of Christ, with the various gifts in addition to those. 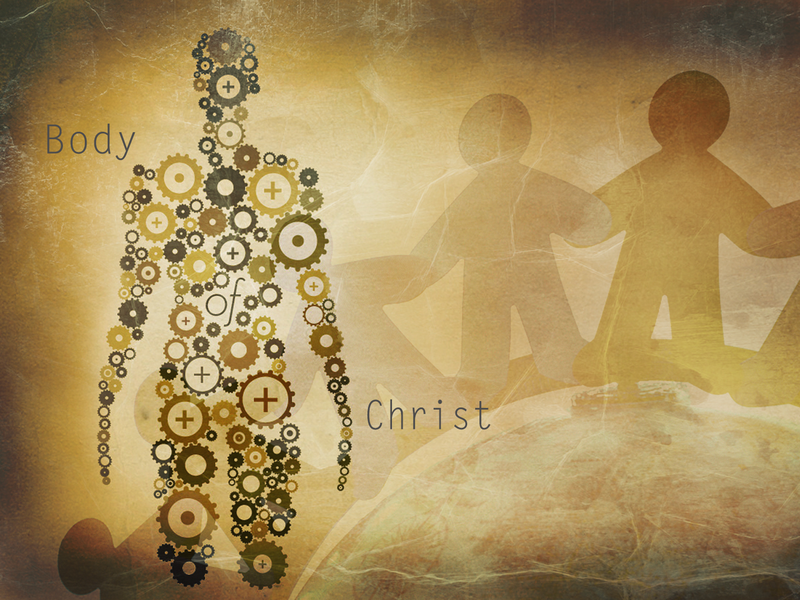 Many parts; one body; one Spirit: the Spirit of Christ. Spirit are not all the same, but it is the same Spirit operating throughout the body. The apostle said to the same church that “the Lord is that Spirit” (2 Cor. 3:17), and Christ is called the One who baptizes with the Holy Spirit, hence it is said of Him “Now there are diversities of gifts, but the same Spirit. And there are differences of administrations, but the same Lord.” (1 Cor. 12:4-5) Christ administers the Spirit, by which the members of the body have their appointed administration, and all the various gifts, “but the same Spirit” accomplishes the same glorious purpose of furthering the gospel in the world. Now, if Christ is working through His people to “walk even as He walked” (1 John 2:6), we must say that it is Him that speaks through the body of His people. In Christ is all the gifts, as it is written: “When he ascended up on high, he led captivity captive, and gave gifts unto men.” (Eph. 4:8) Thus the gift of tongues is also found in Christ to give unto men. 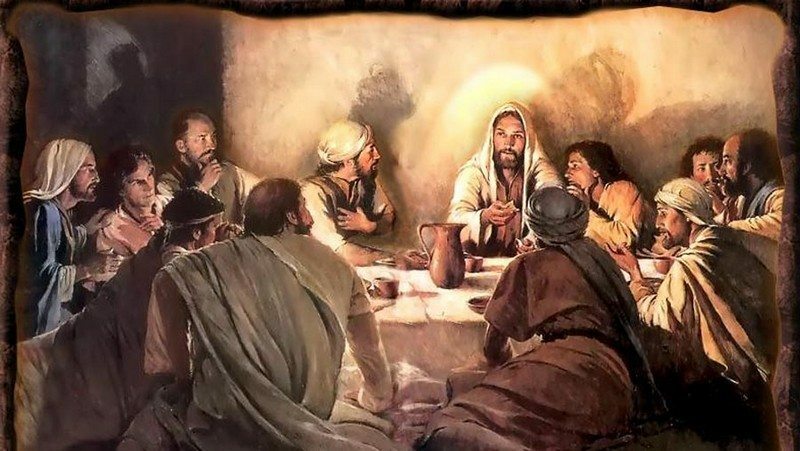 John beheld the risen Christ, a glorious high priest and the life of the body of His people, maintaining the oil in the lampstands of the church; supplying them sufficient oil to be a light for their mission. Thus John described Christ as having “the voice of many waters” (Rev. 1:15), and was further told that the waters “are peoples, and multitudes, and nations, and tongues.” (Rev. 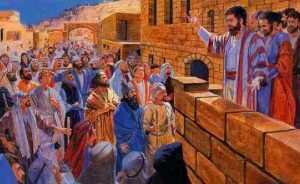 17:5) Thus in Christ’s voice, we find the voice of the Spirit which is imparted to His believing church; this is the voice of many waters, or “tongues”, which He “gave…unto men” to communicate with men the gospel. Before we enter into a more full understanding of that gift however, we should understand the purpose of the body of Christ. We are told the purpose of the body is to edify each other member, to present each member perfect in the Son of God. 1) Accountability to love and nurture those within the church with the Word of God. 2) Accountability to speak the truth in love to those without the church with the Word of God. Thus the believing become stronger in the truth of Christ. And the unbelieving are brought to belief of the truth of Christ. In Jerusalem, at the time of the three annual feasts, there gathered men from all over the world. This was especially true in this case. Men of Israel had relocated to other lands after the Babylonian destruction of Jerusalem, and as such, learned the native tongues of the people wherever they resided. 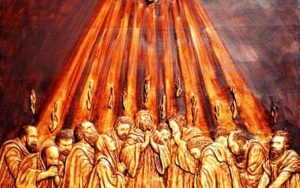 Thus, during Pentecost, there were dwelling at Jerusalem men “out of every nation under heaven.” These devout men knew nothing of the Messiah and the work He had fulfilled, and spoke other tongues. For this purpose, the outpouring of the Holy Ghost caused the believers in Christ “to speak with other tongues”, and connects this sign with the men of other nations. And more than just connecting the gift of tongues with men of other nations, the inspired record goes further than this. The Greeks prided themselves on knowledge, and this was especially the case with Corinthian church. In the beginning of his address to the Corinthians, he said “the Greeks seek after wisdom”, then says “knowledge puffs up, but love edifies.” (1 Cor. 8:1) He speaks regarding the gifts to them that there is no purpose for the Greeks to speak in another tongue to fellow Greeks, and for this cause he says: “Follow after love, and desire spiritual gifts, but rather that you may prophesy, because he that speaks in an unknown tongue speaks not unto men, but unto God: for no man understands him; but in the spirit he speaks mysteries.” (1 Cor. 14:1-2) The man who speaks to other men of his own language in another language doesn’t speak to men because “no man understands him”, so he can only speak to God, even if he speaks, as the apostles did, of “the wonderful works of God”- He may “speak mysteries”, but it isn’t profitable for anyone. Why would anyone in the Corinthian church speak such things? 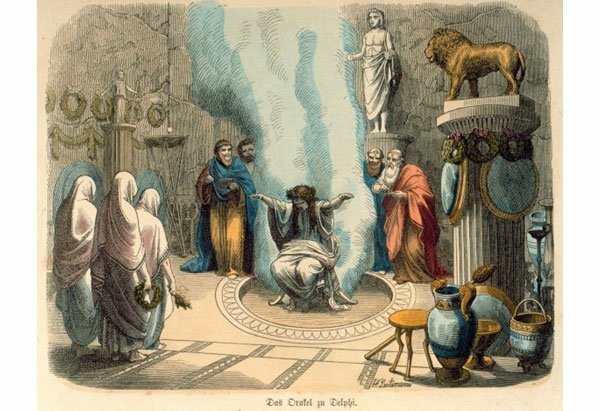 The Greeks who prized wisdom, knowledge, and were competitive, was not unlikely to show that he may speak in many more tongues than his brother in a typical Greek fashion. Typical of the Greek mindset, they were strongly desiring spiritual gifts, and revealing this in tongue speaking to no profit: “Even so ye, forasmuch as ye are zealous of spiritual gifts, seek that ye may excel to the edifying of the church.” (1 Cor. 14:12) However, Paul admonished them to “covet earnestly the best gifts”. There! It is proof that men can speak in an angelic language! Yet wait. The apostle is not saying this, because it is clear that the rest of his testimony was regarding the spiritual gifts which the Corinthians were priding themselves on; but rebuked them saying that “knowledge puffs up, but love edifies.” The word for “EVEN of angels” is the word in Greek meaning accumulative force. It is meant to embellish the point the apostle was seeking the make to advance the idea that NO LANGUAGE, NO KNOWLEDGE, NO PROPHECY IS ANY GOOD AT ALL WITHOUT LOVE. Love is the thing which edifies the church, and makes noble use of any language we could speak. It is love which moves the angels of heaven to work for our salvation. It is the angels without love that would make the idea of speaking a mystery language to no understanding which cannot edify, hence why Paul said he would rather speak five words someone can understand, than ten thousand words that are not able to be comprehended. 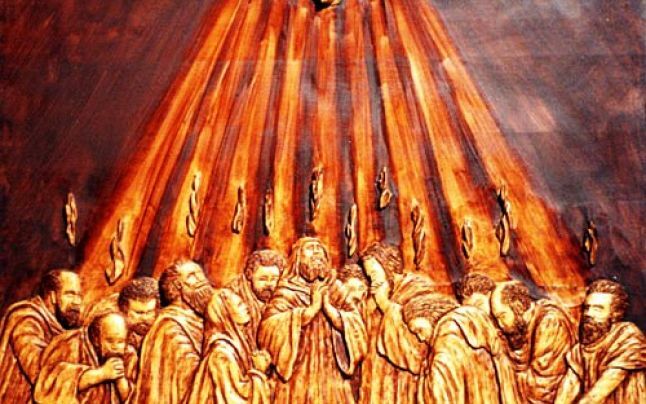 The apostles did not speak in angelic tongues, but tongues that could edify unbelievers with the gospel message. However, there were those who spoke in unknown tongues. 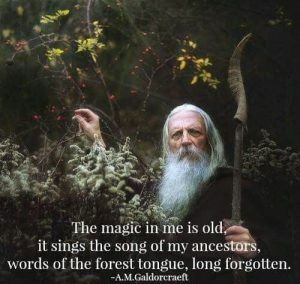 In ancient pagan temple worship, it was common in the worship practices of the congregation to speak in languages that were thought to be the languages of the gods. Ancient history records it abundantly as occurring amongst non-Israelite, non-Bible believing heathen religions as far back as 1100BC. It was not uncommon for these heathen worshippers, especially their prophets, to speak in unearthly languages, go into trances, have fervent or animalistic behaviors. Yet this is only one of many modern examples. Others may be found amonst Hinduists, Animists, and Islamic Sufists to name a few. Notice that the unclean spirits come from the mouth of these three spiritualistic powers; one being called “the false prophet”; which means another spirit takes possession of this prophetic ministry that is of a worldwide scale, and it works miracles to deceive mankind. In the prophecy, we are told that it is out of the mouth, where the tongue resides, there comes an unclean spirit as frogs. And frogs always catch their prey with their tongues. It is further spoken of in Revelation 13, as a lamblike beast that deceives the world because of it’s miracle-working power, and that it speaks “like a dragon”. The dragon, is identified in Revelation 12 as the Satan and his fallen angels, which are devils and are called that old “serpent”. Thus, the voice of the serpent or dragon is that same angel which used the serpent’s subtlety to deceive Eve, causing her to disobey God and fail the test of faith. That voice is the same who will work in these last days through the lamb-like false prophet to deceive many. Thus it is indeed the tongues of angels speaking through the false prophet system, but it is not the angels of God; but the devil and his angels taking possession of souls. 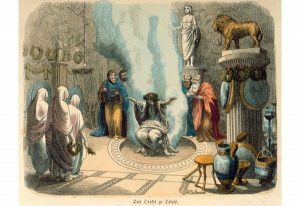 The counterfeit gift of tongues, which speaks in a language not familiar to man, which is prevalent in Pentecostalism today is not a new outpouring of the Holy Spirit; but rather a new manifestation of the devil’s spirit from ancient paganism. 3) Their was a manifestation of a strange tongue from the heathen before Acts 2. 4) The last movements of prophecy declare a false spirit and a false prophet that manifests the counterfeit gift of tongues. 5) We are left to conclude that the fastest growing movement in the world, the Pentecostal movement, that holds tongue speaking does not hold it’s origin in apostolic godliness, but rather from Babylonian confusion and Greek mysticism. 6) The movement is nothing less than the spirit of false prophet of Revelation: introducing a counterfeit spirit to the true God. Read your form i did i did.